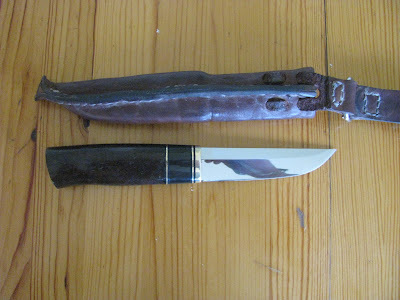 The blade is similar to the Hakkala Tukhurioto. 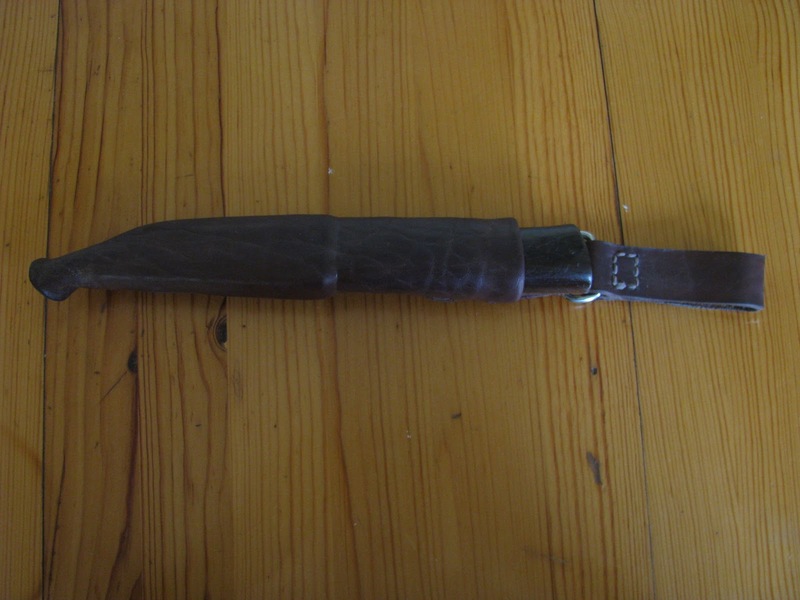 It's 12 cm long, made of 1.2210 steel! 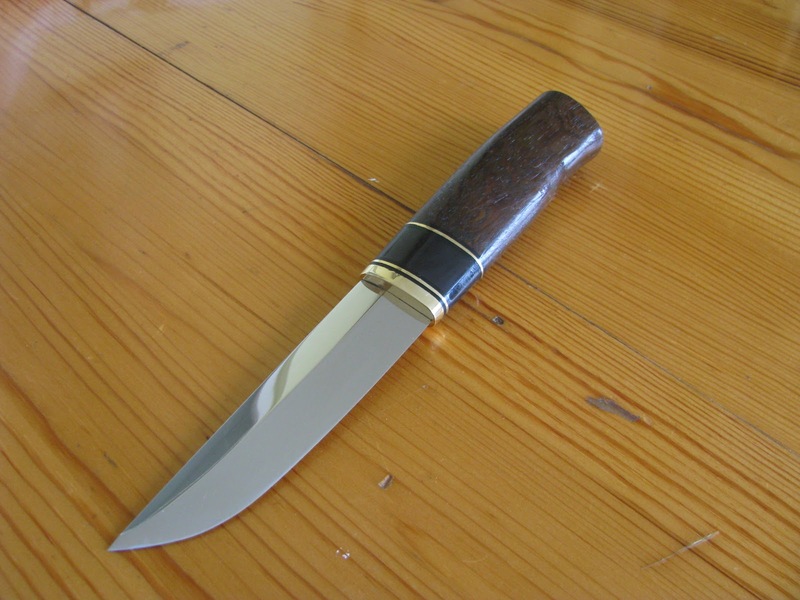 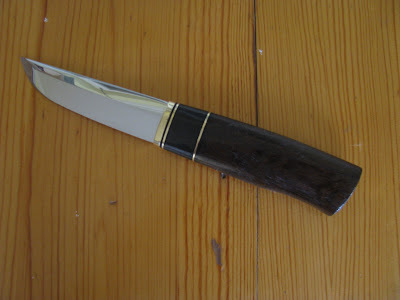 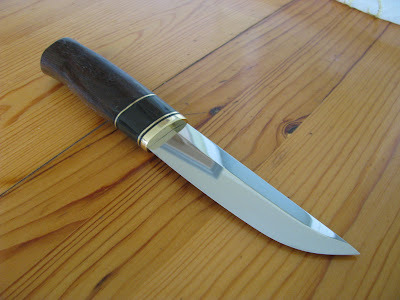 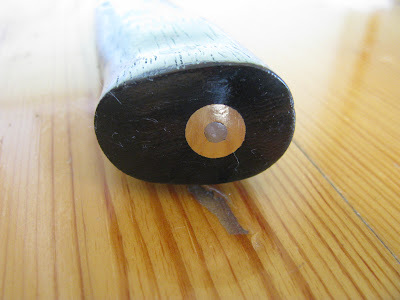 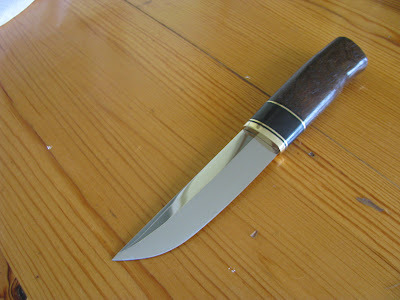 The handle is made of buffalo horn, brass and wenge. 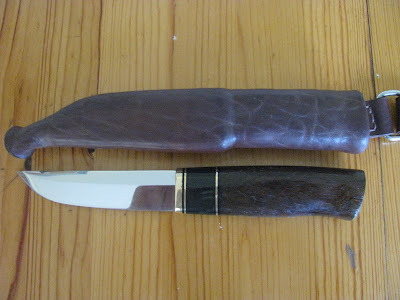 And it is 12 cm long. The total length of the knife is 24 cm. The canvas is Finnish, made of genuine leather with a wooden insert!